Book your family getaway and kids stay and eat free. Adults from only £55 per person. Combine an overnight stay with a visit to one of our local attractions, including Cadbury World, Drayton Manor and Twycross Zoo, from just £159 per room. The perfect family break! Based in our scenic 'Parkland Lodges', just a short walk away from The Belfry reception, bars, restaurants and Spa and Leisure Club, our family rooms create the perfect location for family-friendly holidays. These stylish Lodges offer more space for families to rest and play. Plus, they are just a stone's throw away from our fantastic playground, Woodland Walk and playing field, meaning the fun is never far away! With free, ample parking right on your doorstep too, there's no need to worry about those heavy bags. Family time made easy at The Belfry. Time to get crafty with our fun, educational and creative arts and crafts classes. £8 per child / £12 for two. Available 2-4pm on the following dates: 18th, 19th, 20th, 21st, 26th and 27th April only. Set in the Leisure Club, our indoor pool area is the ideal spot for children to make a splash whilst the adults can immerse themselves in the jacuzzi and sauna rooms. Please note: children under 15 must be supervised by an adult in the pool. Practice your swing with the kids at the PGA Academy. Get a free bucket of balls for children when an adult buys 70 balls. We host children’s camps throughout the year for ages 6-13. Our camps include a range of activities such as golf, dodgeball, baseball, den building, crazy golf and more! Our activities will help your child grow as a person and sample sports which we’re sure they will love. The Belfry is perfectly located to explore other attractions in the Midlands including Kingsbury Water Park, Drayton Manor, Cadbury World, Ash End Farm and much more. Our Woodland Walk is an interactive 2km adventure perfect for families with young children. Families can take a walk on the wild side with den building, wildlife spotting and bug hotels! Alternatively, the trail is an ideal route for a scenic run with a fitness trail half way through! Located next to the Woodland Walk, our brand new playground is perfect for all those adventurous little ones. The playground is fully equipped with swings, a climbing obstacle course and slide. An activity that is great fun for all the family! Come and experience 12 holes of competitive fun through our miniature versions of some of the most iconic holes in Ryder Cup history! Our expansive grounds include a large playing field which is perfect for football, cricket, or any other sport. Join us for fun and games in the Wishaw Suite or Worcester Suite. Available daily throughout school holidays. 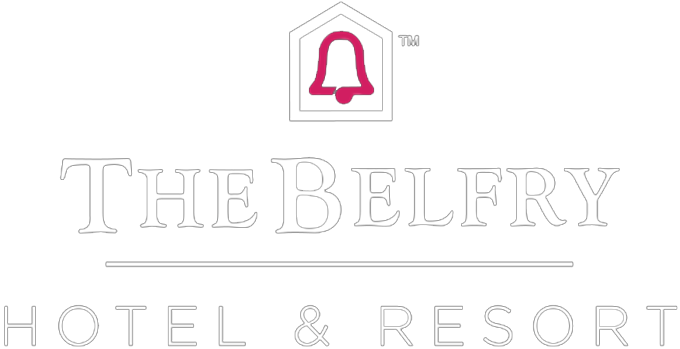 We have something to offer the whole family at The Belfry Hotel & Resort, catering for family holidays, weekend family breaks or day trips. We're located near Birmingham in the heart of the North Warwickshire countryside and perfectly placed for a family getaway in the Midlands. We're only 20 minutes away from Birmingham and close to popular family favourites such as Drayton Manor, Alton Towers and the National Sea Life Centre. At The Belfry, we have a range of spacious family rooms, all of which have the finishing touches you'd expect, along with the option for additional amenities such as a baby changing mat, a nappy bin, a baby bath tub and bottle warmer. On-site, we have a whole range of family activities available. Challenge each other to a round on our Ryder Legends Mini Golf Course, or explore our interactive Woodland Walk. Our expansive grounds include a large playing field which is perfect for all ball games. For parents, take time out to enjoy our sumptuous Spa or play a round of golf on our award-winning courses while your children (between 8 weeks to 7 years old) are taken care of at our Ofsted-registered crèche. As well as the great activities available on-site, we offer fantastic family break packages so you can combine staying at The Belfry with tickets to attractions near Birmingham such as Drayton Manor, Cadbury World and Twycross Zoo. Packages start from just £159 per room.